​Why don't we live together? The exhibition takes place in a gutted, soon to be refurbished, Victorian terraced house. Visitors are invited to help me complete the household chores. While working, we will dream up imaginary plans to spend the future together. Where would we live? How would we pay the bills? What would make us happy? What kind of a relationship would it be? Based on the Pet Shop Boys song 'Why don't we live together?' this experiment offers us alternative life stories... if only for the duration of the washing up. 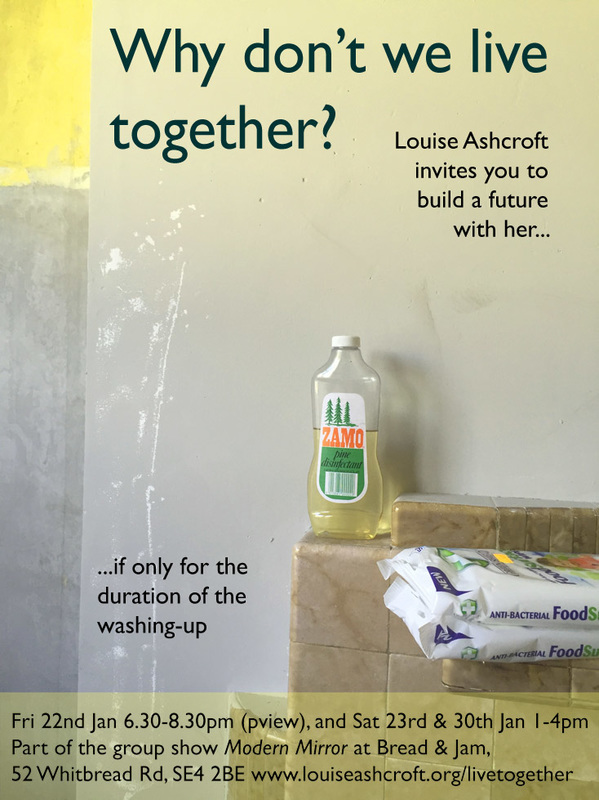 If you would like to book a slot in advance, please email ashcroftlouise@gmail.com with the subject heading 'Why don't we live together?' and request a time at least a few hours before you arrive.